Bright, articulate, intelligent, funny, sharp sense of humour, often pointed at my own quirks and foibles. I’m spending six months in The Burren, Co Clare to decide if I do want to live my dream of moving here permanently. My late father was a native, I’ve always hankered after living here, I’m now seeing if the reality matches the expectations. Would love to meet someone to share the adventure with, but that would be the icing on the cake, I’m happy in my own company. I’m moving toward this experience happily, what could be better than waking up overlooking the ocean every day? Tpt is a Female dating in Clare, Ireland. 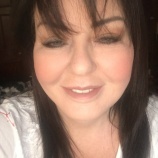 Check the description of this 55 years old profile, maybe this matches your profile description and you can both start dating in Ireland for free.